Will Congress say yes to more hydropower? But over the past two years, the congresswoman has also worked on legislation that would capitalize on one of the most overlooked potential sources of clean energy: hydropower. Solar power, wind energy and grain-based fuels like ethanol are regularly tossed about in conversations about green energy. But as the Pacific Northwest has long known, energy can be captured by letting water flow through turbines installed in river dams. Relatively speaking, it’s still a novel concept in the United States. Of the 84,000 dams in America, only about 2,200 — or less than 3 percent — are equipped to generate electricity. The Hydropower Regulatory Efficiency Act, sponsored by McMorris Rodgers, would make it easier to build smaller hydropower projects at these existing dams. It would also commission a study to figure out how to streamline the regulation process. “One study shows hydropower could expand by 60,000 megawatts [and] create 700,000 jobs in next 15 years,” says Andrew Munro, director of customer service with the Grant County Public Utility District. That’s enough juice to power between 45 million and 60 million households, according to calculations by the Electric Power Supply Association. Munro adds that there are 2,500 businesses in America that supply parts and services for hydroelectric dams. Even environmental groups have a hard time opposing it. “As a coalition, we are generally supportive of the bill,” says Rupak Thapaliya, a national coordinator with the Hydropower Reform Coalition (HRC), which is made up of about 150 environmental groups. Thapaliya adds that while they didn’t publicly campaign for the proposals, they support the bill because it would add electric capacity to existing dams without necessarily encouraging new dams. “If you’re talking about adding hydropower onto existing canals, conduits, pipelines,” Thapaliya says, “those are the types that are less likely to have major impact. “It does a pretty good job of distinguishing between responsible new hydropower projects and ones that are more likely to cause harm,” he adds, referring to McMorris Rodgers’ bill. What type of harm is the HRC worried about? Thapaliya points to the fact that dams block the passage of fish, and negatively affect river water flows and recreational opportunities. 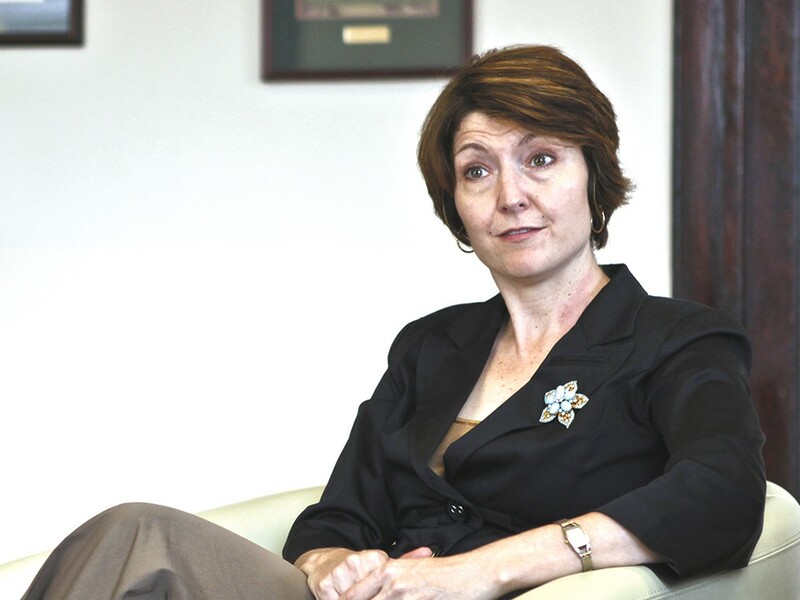 Munro, public utility representatives and other regional energy spokespeople, sat around a table in Spokane in late January with McMorris Rodgers to applaud her proposal. Now, everyone waits for action. In 2012, the congresswoman’s bill passed 372 to 0 in the House. But the timing was wrong. “It was late getting through the House during the last Congress, so I think the Senate didn’t have a lot of time to take it up,” says McMorris Rodgers. McMorris Rodgers says she’s had “good conversations with senators on both sides of the aisle” and is optimistic it can get to the president’s desk this year.